Sahib and the Crew Save the World: A Texas-Sized Typo! 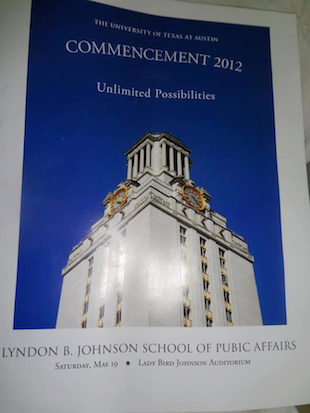 And all along I thought the Presidential School of Pubic Affairs was at the University of Arkansas! This brings a whole new meaning to "Texas Longhorn"! Read Eric Pfeiffer's article at Yahoo. Well, LBJ always complained that JFK got way too much credit for being a ladies' man and that he (LBJ) had been with far more women.